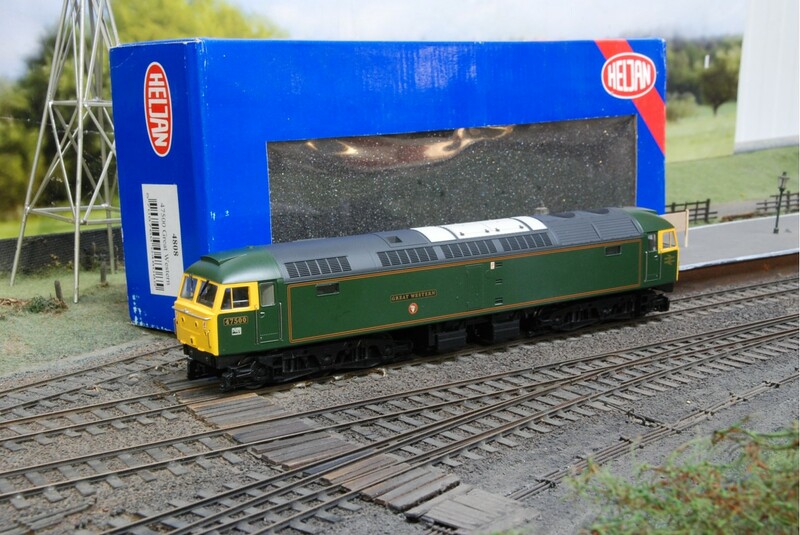 Great Western class 47 diesel locomotive with running number 47500 produced by Heljan with model number 4808. 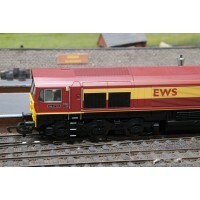 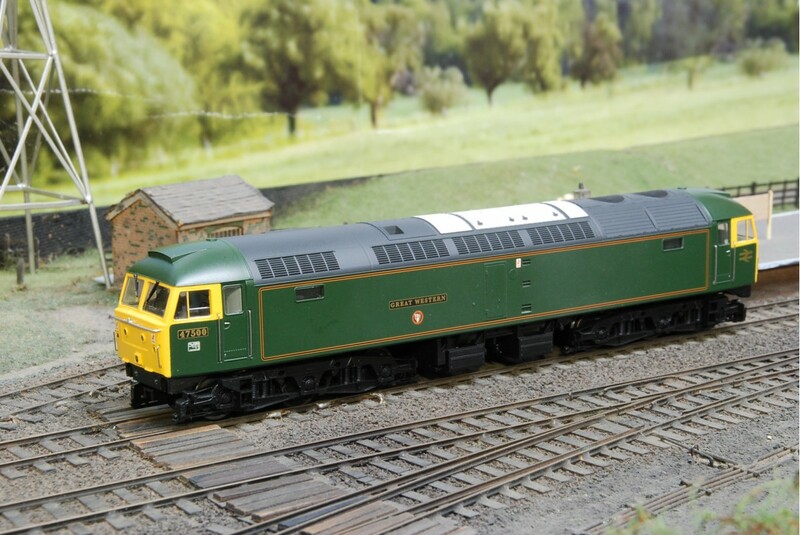 A detailed OO gauge model train that is DCC ready and comes in Great Western green livery. 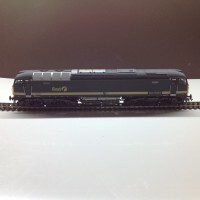 A Intercity Swallow class 47 diesel locomotive produced by Hornby with railway model code R586 in OO..